Evidence is what is presented to a court to help determine the truth. It is important because the jury or judge hearing your New Hampshire injury case will review only evidence properly submitted to the court in deciding whether to award you a monetary verdict. 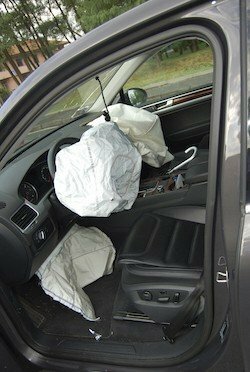 Your NH injury attorney at the Law Office of Manning & Zimmerman, and the insurance company that insures the defendant, will view the evidence before a lawsuit is filed, and the defendant’s insurance company will decide whether to settle your claim or force you and your attorney to file a lawsuit. The most common form of evidence in a New Hampshire injury case is through witness testimony. In most personal injury cases, there will be witnesses who were present at the time you were injured. There are different types of witnesses. Eyewitnesses or people close to you may be considered “lay or fact witnesses.” A lay or fact witness is an ordinary person testifying from their own knowledge, typically about things they have experienced personally. Expert witnesses are used to establish complex conclusions or introduce complicated evidence that requires a professional to understand and interpret. For example, one of the most common expert witnesses in a New Hampshire injury case is the primary physician who treated a plaintiff’s injuries. Your physician may need to testify about a number of matters regarding your medical diagnosis, your body’s response to treatment and medication, and even what future medical treatment you might need someday. Your physician can testify in a number of ways. In some jurisdictions, a certified copy of your medical records could be used, or your attorney may have your physician testify in a deposition and play the video back at trial, or your physician may be required to testify live at trial. An experienced trial attorney will select the method of testimony for each witness that best serves your interests. Some physicians are unwilling to testify at trial. This is not a reflection on the plaintiff of the merits of the plaintiffs case. Rather, it may be as simple as the physician working for a facility that will not allow the physician to testify, or the physician’s work load may not allow him/her to take the time needed to come testify at trial or deposition. An experienced NH injury attorney at the Law Office of Manning & Zimmerman will try to find witnesses who may have witnessed your injury, or who may have knowledge about how your injuries have impacted your New Hampshire injury case. An experienced attorney will carefully select witnesses to present a strong statement of your claim. Having more witnesses is not always as beneficial as one or two quality witnesses. Your NH injury attorney at the Law Office of Manning & Zimmerman will be able to explain how each lay and expert witness will help strengthen your case, eliminate weaknesses, or combat potential arguments made by the defendant’s attorney. In addition to witnesses, your personal injury claim is proved through documentary evidence. This may include things like your medical bills, medical records, pay stubs, corporate incident reports, police reports, traffic citations, photographs, diagrams, notes taken by you or the defendant regarding what happened, etc. Anything in paper, video, or electronic form can be considered documentary evidence. However, just because a piece of paper, video, or photograph exists does not mean your attorney will be allowed to enter it into evidence at trial. New Hampshire and the United States federal courts have developed rules of evidence which your attorney must follow in order to submit evidence in court. For example, depending on whether you are in a New Hampshire or federal court, the rules for what is admissible evidence are different. An experienced trial attorney will know how to identify and find the correct documents to use and submit as evidence before and at trial in your New Hampshire injury case. The best way to gather evidence before hiring an attorney is to document everything. That means calling the police to generate an accident report in an automobile collision, making a complaint at a business to generate an incident report if you were injured on commercial property, and taking notes when you meet with your physicians, etc. You may also obtain copies of your medical records prior to hiring an attorney, but keep in mind, the documents you collect may not be in the proper form to submit as evidence in court. An experienced attorney will be able to explain how the documents need to be obtained and in what manner in order to have the documents admitted at trial. For instance, providing a copy of your paycheck may not be enough to prove lost wages. Your attorney might ask your employer to fill out an affidavit stating your pay rate and how many hours or days you were absent from work due to your injuries, or might request your tax returns from the I.R.S. with your consent. The attorneys of Manning & Zimmerman are experienced trial attorneys who routinely gather the necessary documents to settle or take to court a New Hampshire injury case. We are able to explain what types of documents are admissible and which are not and, in most cases, will be able to obtain these documents with your consent on your behalf, or provide the information you need to readily obtain them yourself. Attorneys Manning and Zimmerman were professional throughout the entire experience. They kept us informed and pursued our case with our best interest. We were pleased with our experience. I recommend them for their attention to detail, conscientiousness and kindness. Q: What is negligence and how is it proven? Someone must owe you a duty to act, or to not act, in a certain way. Someone must fail to uphold one of those duties owed to you. Failure to uphold these duties must cause you some kind of damage. Q: What is an example of a person acting negligently? A: Drivers owe a duty to other drivers, pedestrians, and property owners to drive in a safe manner and not cause injury or damage. The Rules of the Road are what all drivers must observe to ensure the safety of our roadways. Q: What is an example of negligence other than a car crash? A: A property owner could be found negligent if they failed to clean up a spill or repair a portion of their property that they know will be dangerous to people entering their property. Examples include slipping on ice or a slippery floor, falling down a poorly maintained or poorly lit flight of stairs, and being struck by a falling object. Q: How are damages proven in a negligence case? A: Damages must be proven in a court of law through testimony, documents, and/or expert witnesses. At the end of the trial, the jury will decide how much to compensate you for the damages you suffered because of the defendant’s negligence. Q: What kind of verdict would a jury return based on these three elements of negligence? A: What may seem like clear negligence to you may not be as clear to twelve strangers sitting in a jury box. An experienced New Hampshire personal injury attorney at the Law Office of Manning & Zimmerman will identify problems with convincing a jury, and will explain the challenges in your case before you enter a courtroom. Q: What is my responsibility as a plaintiff in a personal injury lawsuit? A: As a plaintiff in a negligence action, you and your attorney are responsible for proving to the jury that the defendant was negligent and directly caused you harm or damage as a result of his or her negligence. If you or a loved one have been injured due to the negligence of another party, contact the New Hampshire injury attorneys at the Law Office of Manning Zimmerman, PLLC at (603) 239-2315. As always, initial consultations are free. What are the Elements of a New Hampshire Personal Injury Claim? 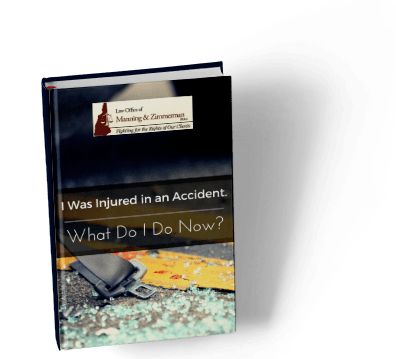 What exactly is negligence and how is it proven in a New Hampshire personal injury claim? First, someone must owe you a duty to act or refrain from acting in a certain way. For example, when anyone drives a motor vehicle, they have a duty to drive in a prudent and safe manner, observing what are known as the Rules of the Road. They have a duty to avoid causing collisions that can lead to a New Hampshire personal injury claim. Second, someone must breach one of those duties owed to you. For a property owner, that could mean they have failed to clean up a spill or repair a portion of their property they know will cause a hazard to you and other people entering the property. Proving that someone owed you a duty and breached that duty is often the biggest hurdle in filing a New Hampshire personal injury claim. Third, the breach of the duty owed to you must cause some kind of damage to you, whether to your person or your property. Damages must be proven in a court of law through testimony, documents and/or expert witnesses. At the end of the trial, the jury will decide how much your New Hampshire personal injury claim is worth. It is difficult to estimate what kind of verdict a jury will return based on these three elements of negligence. At best, your attorney might be able to provide you with an estimated range that might be close to what the jury decides. What may seem like clear negligence to you may not be as clear to the jury. An experienced New Hampshire personal injury claim attorney at the Law Office of Manning & Zimmerman will identify problems with convincing a jury, and will explain the specific challenges in your case before you enter the courtroom. With a New Hampshire personal injury claim, you will be the plaintiff suing the defendant. The defendant is the person who caused your injuries. The defendant will be allowed, just like you, to present evidence and witnesses, and can even testify themselves. Experienced personal injury attorneys are used to hearing defendants tell a completely different story than the plaintiff. It is the jury’s job to listen to you and the defendant, your attorney, the defendant’s attorney, any eyewitness or other witnesses, and expert testimony, as well as review evidence submitted to the court. An experienced New Hampshire personal injury claim attorney at the Law Office of Manning & Zimmerman will prepare you with regard to what to expect when testifying in court. They will have carefully gathered all relevant evidence well before trial. As a plaintiff in a negligence action, you and your attorney are responsible for proving to the jury that the defendant was negligent and directly caused you harm or damage as a result of his/her negligence. There are two main types of damages — special and general damages. Special damages are damages that can be proven down to the exact penny. They include medical bills, prescription receipts, repair bills, and credit card receipts. They also include lost wages shown by tax returns or pay stubs, etc. General damages are considered items that cannot be assigned a dollar value easily. General damages include, past, present, and future pain and suffering, permanent injury, loss of a normal life, etc. In many cases, the general damages suffered are far greater than the special damages. 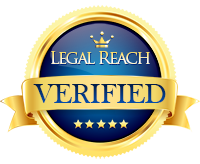 An experienced attorney can readily secure documents proving your special damages. An experienced attorney will also know to talk to witnesses about your general damages. Some of the best witnesses to prove your general damages are family members and close friends. People close to you will able to testify about how your life has changed. They can give the jury an idea of how you’ve suffered as a result of the negligence of the defendant. Once our attorneys have submitted evidence and called witnesses to testify for your case, the defendant’s attorney may choose to present evidence and call witnesses. In some personal injury actions, the defendant may not submit any evidence or call any witnesses. However, that does not mean the jury will render a verdict in your favor. As the plaintiff, you and your attorney bear the “burden of proof.” What this means is that if there is not enough evidence showing that the defendant owed you a duty, breached that duty, and caused you damages that can be proven in a court of law, the jury will not award you anything. Even though the defendant and their attorney did not present any evidence or witnesses. It is important that you select an injury attorney experienced in settling personal injury claims and with trial experience. The New Hampshire personal injury attorneys at Manning & Zimmerman have many years of trial experience in both federal and New Hampshire courts.